Play with the stone effects of contemporary concrete slabs or classic slate tiles with our Loft 832 laminate collection. 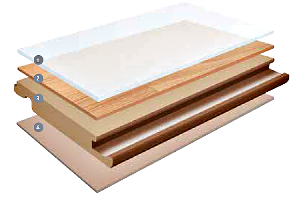 Made in Germany according to the highest standards, our laminate home floors are treated with an extra-strong melamine protective layer making them resistant to scuffs, scratches and stains. Installation is quick and easy with a simple, glueless 2-lock click system.